My week at a glance feels like it has been dominated by laundry and ironing, as I have been trying to get all caught up ready for our holiday in a few days. The cases are just about packed (bar a few toiletries and shoes) and I am now working on getting the house in order as I want to be able to return to a lovely clean and organised home, following a 2 week vaycay in America! I don’t know if perhaps I am expecting a little too much, but I don’t particularly fancy the idea of returning to piles of laundry and tat everywhere whilst we all fight jet lag and have cases of laundry in tow! 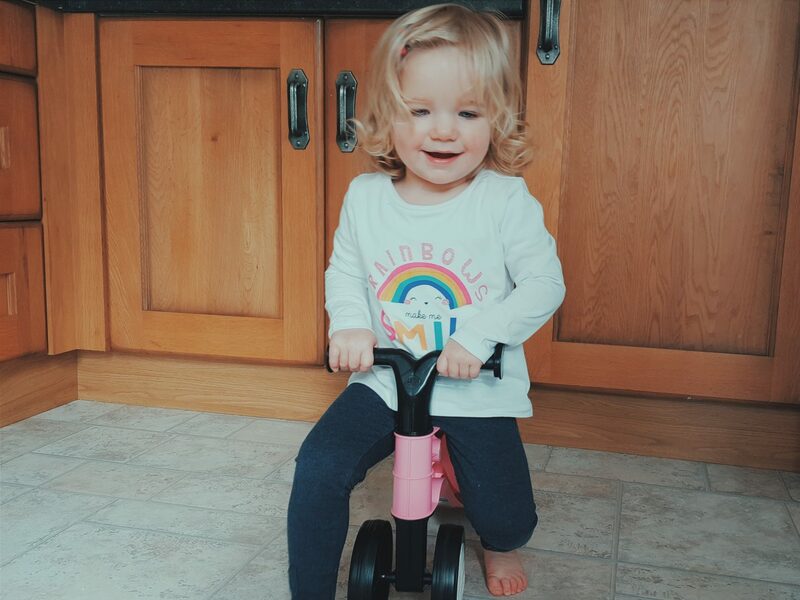 Alice has been great during all of this…playing and scurrying around on her little indoor bike, and watching me closely as I move from room to room gathering things. She is an absolute pleasure to spend my days with! Sisters! I am grateful to have grown up with my 3 sisters (1 older and 2 younger), and that we now live in closer proximity to strengthen our relationships and be more involved in one another’s lives. I am grateful for my sisters because not only are they useful for babysitting, and to be the focus of many laughs, but because in them I also have dear and treasured friends! And, whilst we are each vastly different from each other in a lot of ways, we also share similarities and I love to share all of the facets of life’s journey with them (and of course the inside jokes and banter). On Monday evening (in celebration of Mother’s day), we had a great girly night out with our mum to the cinema, fuelled by plenty of chocolate! It was such a laugh, and made me thankful to have such great friends in my sisters. Also these last couple of days I haven’t been very well – emotional and some anxiety mainly – and I am grateful for one of my sisters in particular coming over for chats and sitting with me whilst I tried to make sense of life! I am also grateful for my kids and husband, and for their efforts in appreciating me on Mother’s day last weekend. It isn’t the easiest of days for me anymore, but a box of lindt and a yucca plant later, along with lovely kisses and handmade cards certainly made it nicer! I love being a mother (though sometimes I might say I don’t), and I especially love being theirs. Thank you! I think my biggest success this week is showing up for life when I wanted to hide away! It’s been really hard this week, and realising that I put far too much pressure on myself and that I need to accept help (and that I might need a rest now and then) is totally fine. I cannot handle what I once could, and am not the resilient person I once was either, and as a result I seem to compare me now to who I used to be (or even others that haven’t walked my path). I am hoping that I can soon be successful in letting these things go too, in order to make way for me feeling lighter and happier! On a less deep note I have been successful in getting everything packed for our hols! Last week was all about getting it together, and this week has been in successfully organising it into cases, in a neat and orderly manner. I can’t believe we have fitted it all in with the oodles of English chocolate and Harry potter merchandise in the mix too! 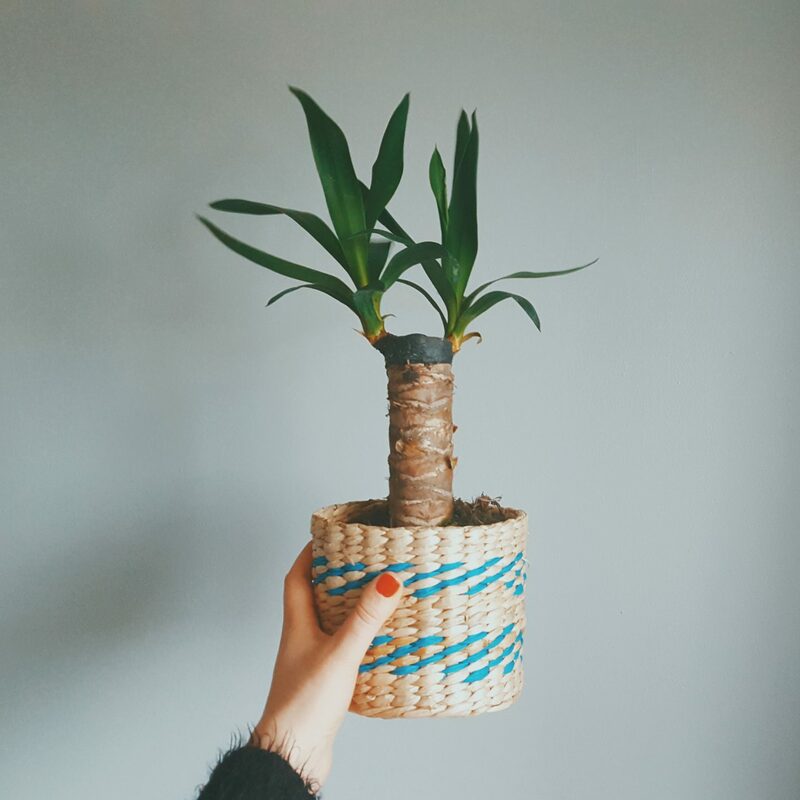 Finally, I found success in ticking off my first Spring Cleaning item on the “Let’s get organised” agenda (yeah it’s a real thing over here). I pulled everything out of the airing cupboard and re-folded it all, whilst purging many unwanted bedspreads and outgrown clothes that were shoved in there too! It felt really good, and I am proud that despite struggles I have accomplished rather a lot this week! On Tuesday evening Megsie took her little Rainbow promise and was welcomed into our local Rainbow’s unit. It was so lovely, and such a beautiful little moment in such a busy/crazy day! 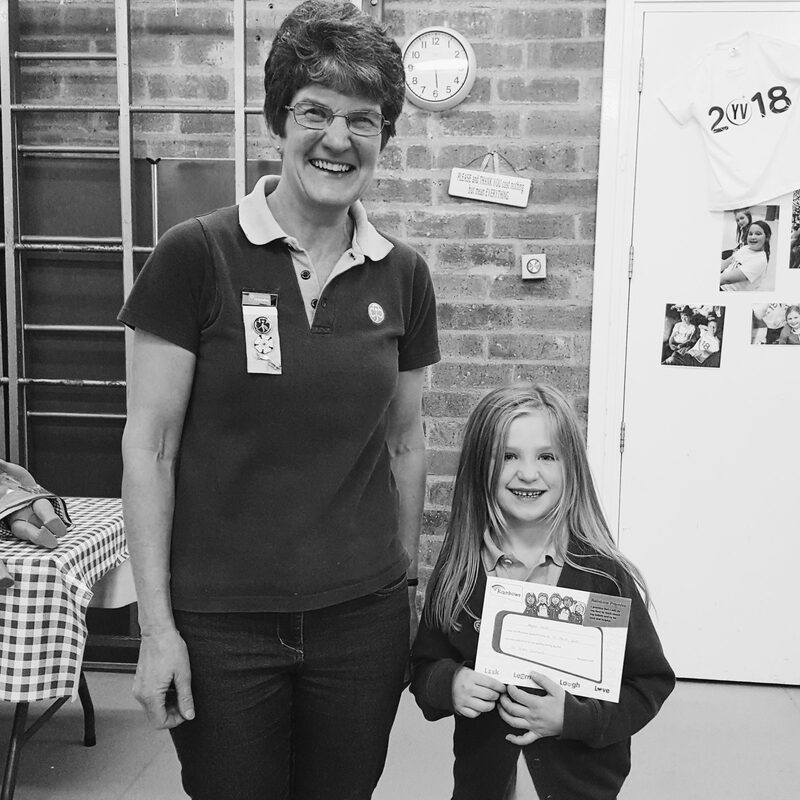 It is a step down a path I hope she will remain on for many years, because I loved Guides when I was about 10, and I feel it builds strong, kind and confident girls! We both hope it is something she will continue to embrace and will have many moments of achieving and growth. 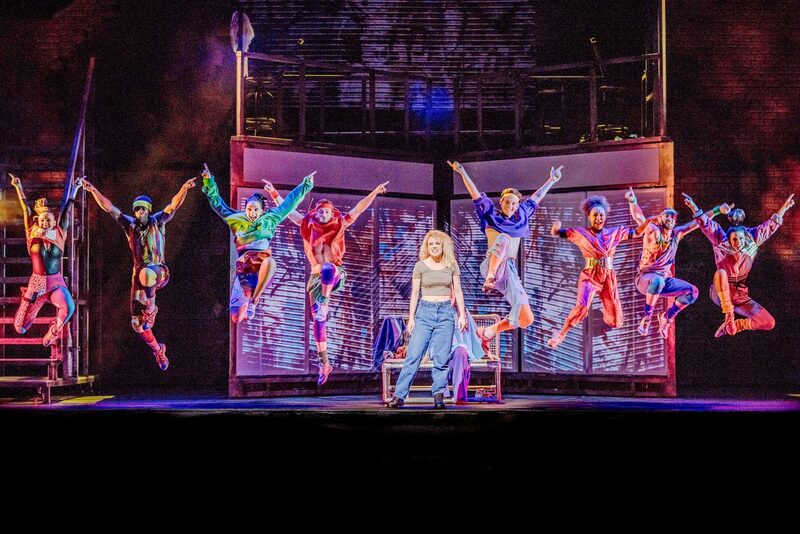 I also found beauty this week in the singing and dancing of those involved in the spectacular performance of “Flashdance – the musical“, which I saw on Tuesday night with one of my good friends. It was so good and the music and dancing were so much fun. It was nice to have a break doing something I so very much love and hope to see more musicals as they make me so happy! This time next week I hope I will be far more relaxed and enjoying time as family in Arizona! I am in desperate need of a break from life and lots of sunshine, and I feel that that will be just the thing I need to reboost! I do hope to (and plan to) continue blogging here and there whilst we are away, especially keeping up with this linky at least. And I hope you will pop on by to see what we get up to, or follow along on my Instagram. Next Post What’s in my case?! I love it when toddlers potter about and you get done heaps more than you ever imagined! Well done Alice. Hoorah for packing successes – you must be fit to pop with excitement.